Talk about saving the best for last. 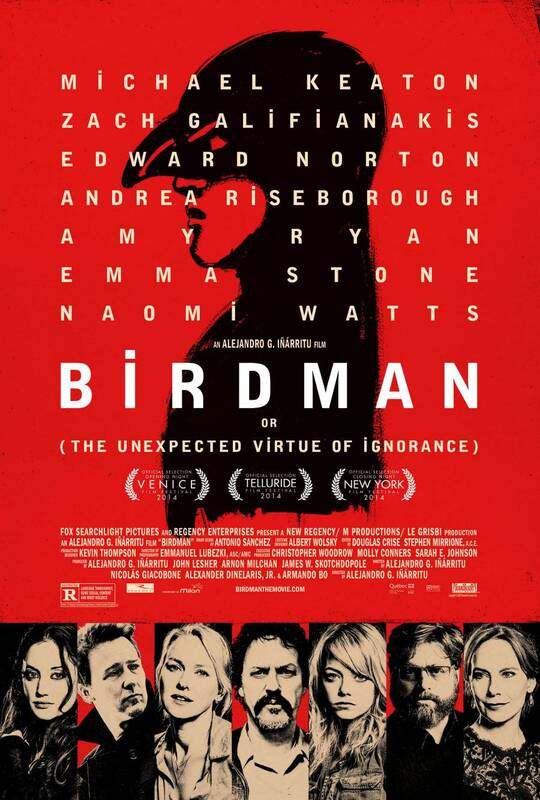 Birdman was the last of the main Oscar contenders left on my list. It just happens to be my new favourite. Everything about the film tickled my fancy. The script is witty and completely original, the direction and cinematography was captivating, the percussion-heavy soundtrack had my feet tapping, the New York setting made me fall in love with the city all over again and the cast were top notch. Even before viewing I was impressed by the incredible ensemble, but seeing them interacting and playing off one another was better than expected. Michael Keaton deserves all the praise he gets. For a guy who hasn’t done much at all in the last decade, he doesn’t act like someone whose career depends on a part. He is the part. It’s like his entire career was just setting the stage for this grand finale. And while it’s great to see some fight left in the old dog, seeing Edward Norton again just made you realise how much he’s been missed from our screens. He truly is a master of his craft. It’s fairly well known that Norton’s overbearing personality off-screen is the reason most directors won’t work with him, which is why it’s so good to see him poking fun at himself here. His character is so frustratingly confident in his ability to the point of being arrogant, until you see him on stage and his actions feel completely justified. Emma Stone plays the opposite of her character in The Amazing Spider-Man, playing the broody teen that’s getting too old to be angry for no reason. While Zach Galifianakis must have begged for the role, playing the straight man here completely shatters the bumbling fat man typecast he made for himself of late. He’s actually perfect. 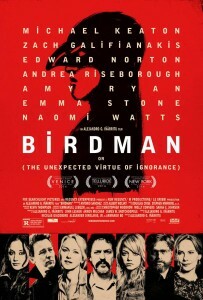 Naomi Watts, Andrea Riseborough and Amy Ryan are also brilliant, but that’s kind of expected from them all. And while the cast is full of big names, it’s still only a handful of names that carry the entire film. The way they’re shot is so close and intimate; they’ve captured the essence of Broadway theatre. While Boyhood was made up of snapshots taken over 12 years, Birdman is a series of long, uninterrupted, single-take scenes that are executed with absolute perfection. It couldn’t have been done with a less-talented cast or crew. The only criticism I could have would be with moments in the dialogue. Seeing as there were four credited writers, including director Alejandro G. Iñárritu, they probably could have ironed out some of the more cliché lines (particularly during scenes between Stone and Norton). In addition, I don’t think the ending was as perfectly executed as it could have been. But like the crowd said during the intermission in the film itself, even if the second act had been half as good as the first, this still would have been an absolute triumph.